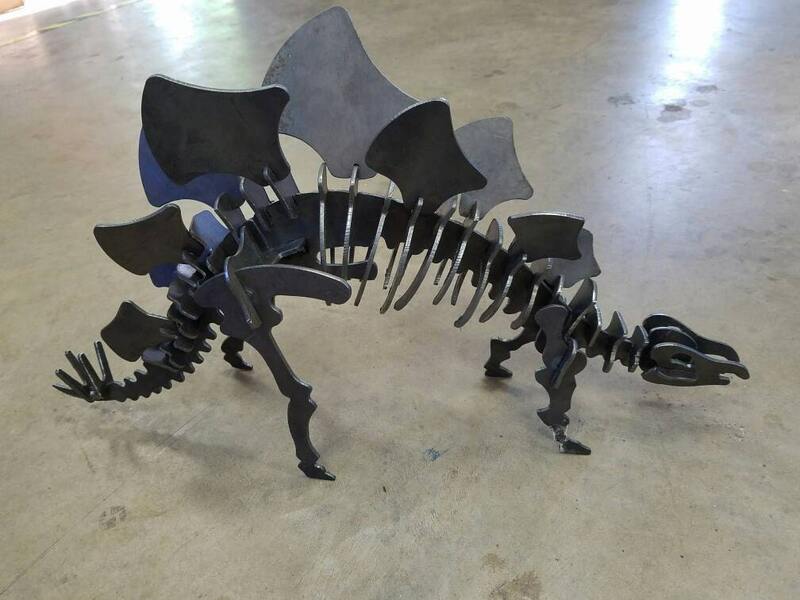 This metal stegosaurus outdoor yard art measures at 35" long, 19" tall, and about 11" wide. 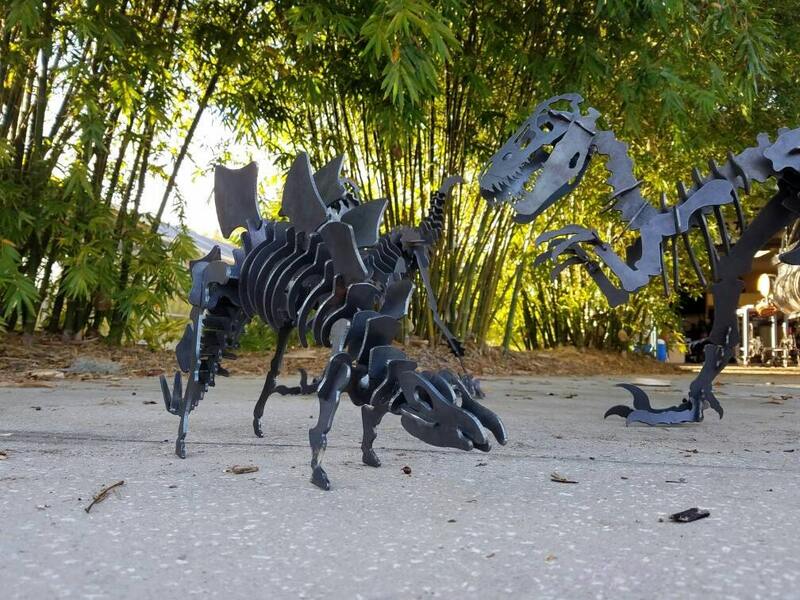 This metal puzzle art sculpture would also certainly make a wonderful addition as children's dinosaur decor for a little boys room or the little girl who loves dinosaurs! 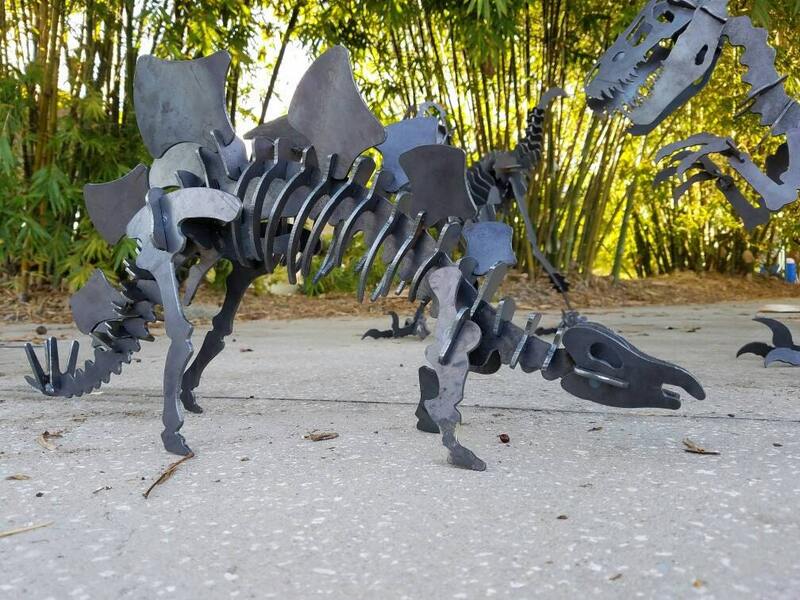 This dinosaur is made right here in Port Orange Florida from American made 1/8" steel. Ships fully assembled and welded together to ensure it's endurance in whichever setting you choose. If you wish I can leave each piece un-welded, just specify when ordering. 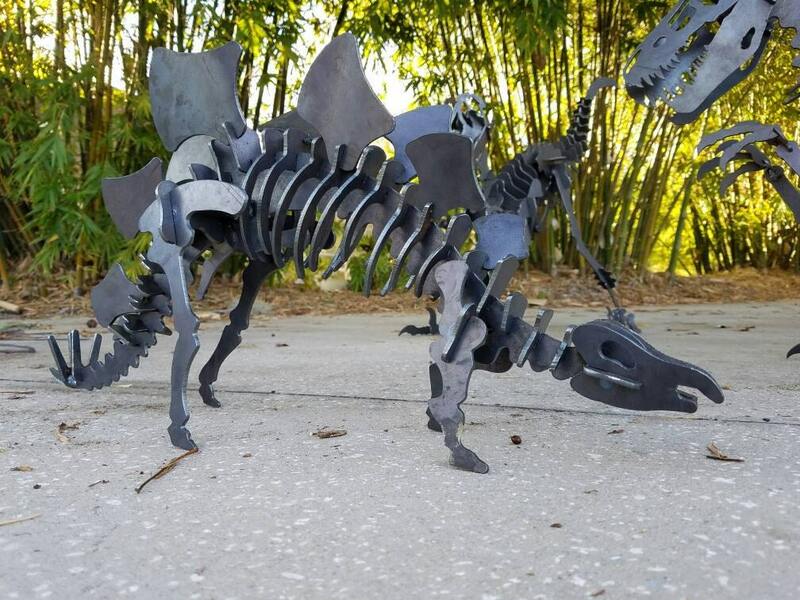 Tumble finished in raw steel as shown, this dino will slowly patina over time in the elements. Kept indoors it should retain the finish shown without issue....remember this is METAL and will oxidize/rust when exposed to humid environments over time. To protect it I suggest oiling the sculpture as you assemble. 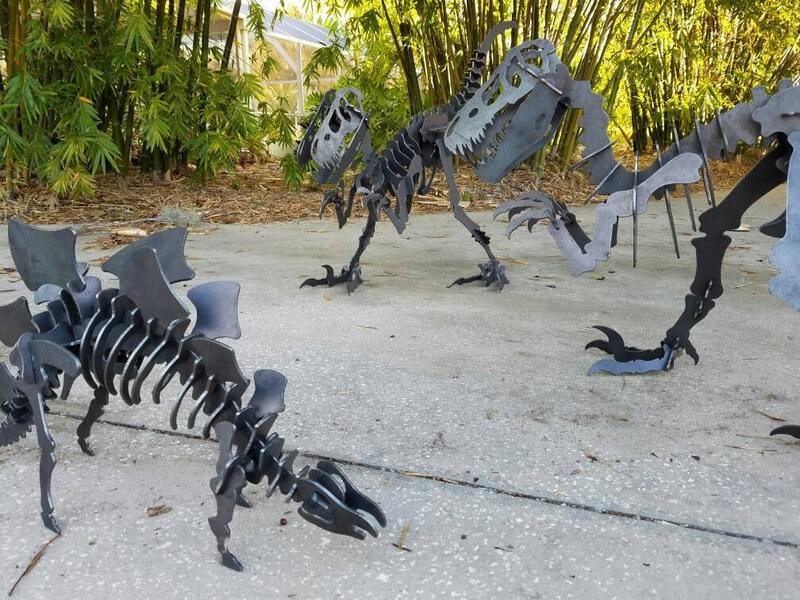 You can also paint or powder coat the dino as well! Sometimes shipping estimates through USPS are quite extraordinary due to the size of our items. If you're interested in our pieces but find the shipping extraordinary, chances are we can ship via FedEx or UPS a bit cheaper. If this is the case for your item, we will refund any shipping overages paid by you that are over $2. This sculpture is beyond my expectations! I bought it for my husband and when he opened it he got excited, like a little boy. The heaviness and quality of the material is amazing, and the welding of the pieces is so well done. My husband loves the worn, weathered look of the metal. It adds another level of amazing to the piece...totally badass! I am also very glad I chose the Stegosaurus...it looks amazing in the window of my husband's office. I don't even mind the high shipping cost and that I had to pay over $50 in duties to have it ship across the border. Totally worth it! Thanks so much, I may have to buy another one in the future.